Favorite to see all the time? Easy he is the second greatest dog on the planet behind my pup Izzi. He has so many different costumes and he is just so much fun. OK Character i want to see that i NEVER have? I have never ever seen him in all the years i have been going to disney it is my Mission when i do my CP to find Figment and get my picture with him. "It's not wise to upset a Wookiee. ""nobody worries about upsetting a droid. ""That's 'cause droids don't pull people's arms out of their sockets when they lose. 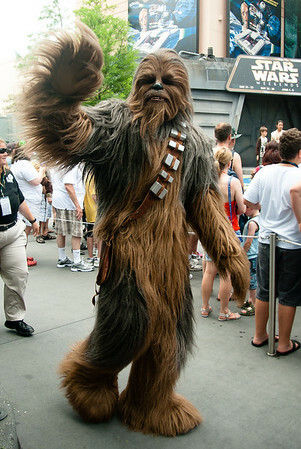 Wookiees are known to do that. "